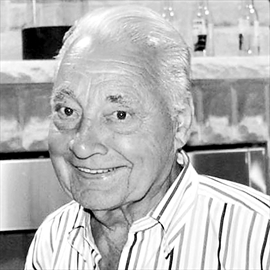 KOROSEC, Vincent June 3, 1929- March 22, 2018 After a lengthy battle, following a stroke in March 2017 Vince passed away peacefully, with family at his side at Markham Stouffville Hospital. Cherished husband of Frances for over 45 years, Father to John (Kristine), and Mark Erzen (Angelina). Adored 'Papa' to Stephen and Joshua Erzen, Domenic and Samantha Korosec, and four legged pal 'Tucker'. The loss of Vince will also be felt by beloved niece Cvetka, and her family, as well as Vince's sons Daniel and Vincent, and their families. Born in Frankolovo, Slovenia, Vince fought valiantly for the liberation of Slovenia during World War II. Vince is survived by his four sisters and one brother in Slovenia. After immigrating to Canada in 1957 he founded Vince's Spring Service in Scarborough. He was well known not only by customers, but by many neighbours for his outstanding garden. The Korosec Family is grateful for the kindness of the staff at Unionvilla and Markham Stouffville Hospital for their care. As well as for all the support of our close family and friends throughout this past year. Vince was a kind uncle, brother, and friend to all he met. He will be missed by many, especially those at the Slovenian picnics, which he so enjoyed. Visitation will be held at Dixon Garland Funeral Home , 166 Main Street N. (Markham Road) Markham on Sunday, March 25, 2018 from 2-4 and 6-8 p.m. Funeral Mass will be held at St. Patrick's Parish, 5633 Hwy 7, Markham on Monday, March 26, 2018 at 10 a.m. The Korosec Family welcomes donations to the Heart and Stroke Foundation in memory of Vince.